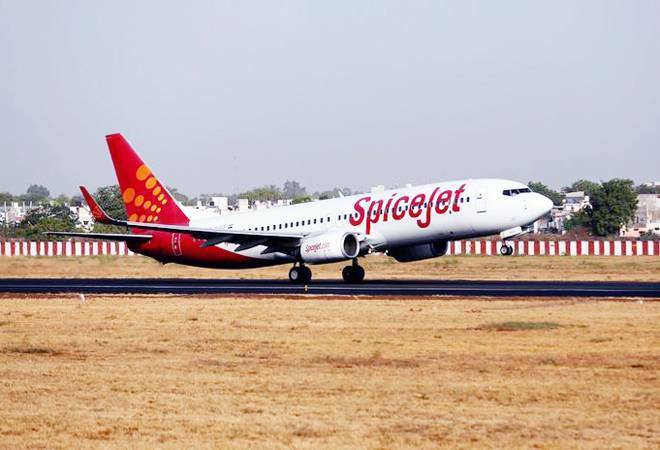 Low cost carrier SpiceJet on Monday reported a 77 per cent decline in its net profit at Rs 55.1 crore for the third quarter ending December 31, 2018, due to an increase in crude oil prices and depreciation of the Indian rupee. "The Gurgaon-headquartered company had posted net profit of Rs 240 crore in the same quarter last year," SpiceJet said in a filing to the Bombay Stock Exchange. Total income stood at Rs 2,530.8 crore for the reported quarter as against Rs 2,096.1 crore in the same quarter last year. During the October-December period, the company reported an operating profit of Rs 135.5 crore, while its expenses were Rs 2,475.8 crore as against Rs 1,856.1 crore in the same quarter last year. The company posted 8 per cent increase in passenger yields during the quarter which helped partially offset record high cost due to an increase of 34 per cent in crude oil prices and 11 per cent depreciation of the Indian rupee against the US dollar. The combined effect of these cost escalations was approximately Rs 329 crore, it said. The average domestic passenger load factor for the quarter was 91.6 per cent, which is the industry's highest load factor for a record 45 successive months, the company said. Between October and December 2018, SpiceJet added 12 new planes -nine Boeing 737 MAX 8 aircraft and three Q400s. As on December 31, 2018, SpiceJet's fleet size stood at 74 which included, 37 Boeing 737 NG aircraft, 10 737 MAX 8, 26 Q400s and one B737 freighter. Commenting on Q3, Ajay Singh, Chairman and Managing Director, SpiceJet said, "Despite the huge cost escalation in ATF and exchange rate, SpiceJet has done remarkably well thanks to our superior revenue performance, tight control on other costs and the continued confidence our passengers have shown in the airline." "With a strong improvement in the macro cost environment and the increasing induction of the fuel efficient MAX aircraft, the outlook looks stronger than it has over the past year." He further said that the company continues to pursue an ambitious growth plan with new flights, playing lead in the government's UDAN initiative, while keeping costs under check. Ahead of earnings announcement, shares of company closed trade at Rs 80.30 apiece, up 2.42 per cent, on the BSE.